Modernist Revival — Geoffrey Lewis Architect, Inc. 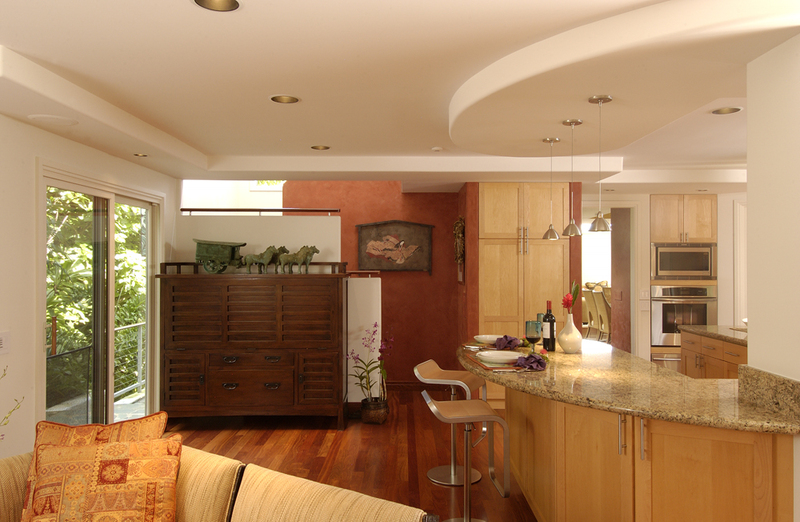 The opportunity to remodel a house with architectural significance is one that any architect would jump at. 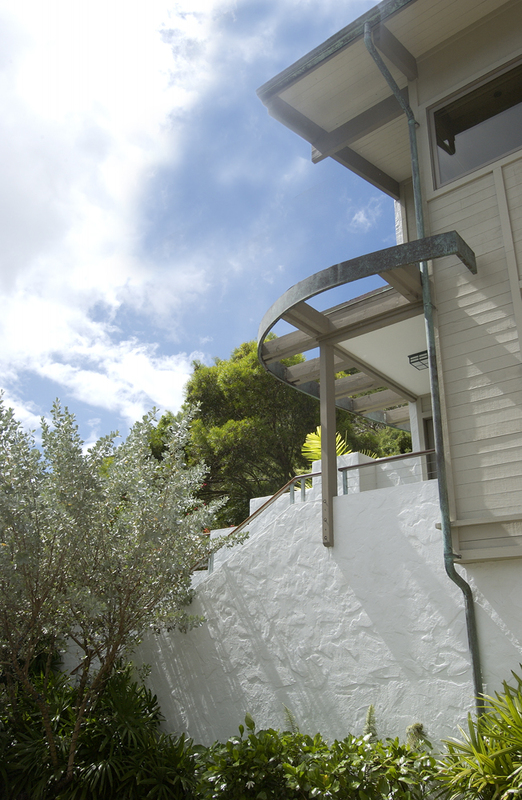 Originally designed in 1971 by Don Chapman of Hogan & Chapman Architects, this modernist house has all the features that exemplify modernist architecture. Modern architecture is not about style, but about form, volume, planes, solids and voids. Modern architecture allows for great spatial dynamics because of these design tools and is not dictated by style which traditional architecture relies on. Although architecturally exciting, the original plans suffered from living styles of the past which relied more on compartmentalized living spaces verses the more contemporary open living styles of today. The new plans allowed for more interactive spaces such as the kitchen and family room interrelationship and the living room and dining room interrelationship. In addition, the master suite was opened up the living room below affording an exciting interaction to the main floor below. The original house did not have a strong sense of entry which we saw as an opportunity to celebrate. The new entry feature adds an iconic element to the street façade and helps clarify the entry procession. In addition to plan changes, an effort was made to modernize the dwelling with new contemporary features and details so that the house could live well into the future and avoid becoming dated. 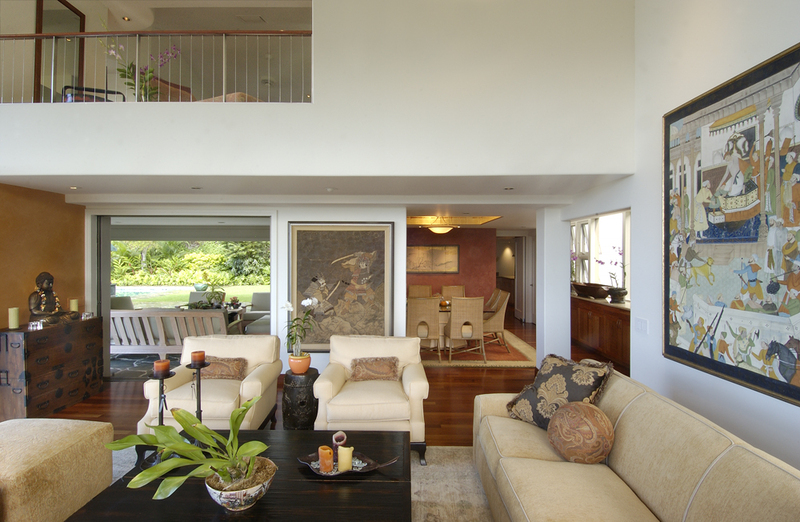 Changing the guard rails to stainless steel cable not only modernized the house, but affords the owners even better views on Honolulu beyond. The addition of accented color walls is also a contemporary approach to design and one that really helps create visual connections between the new interactive spaces.